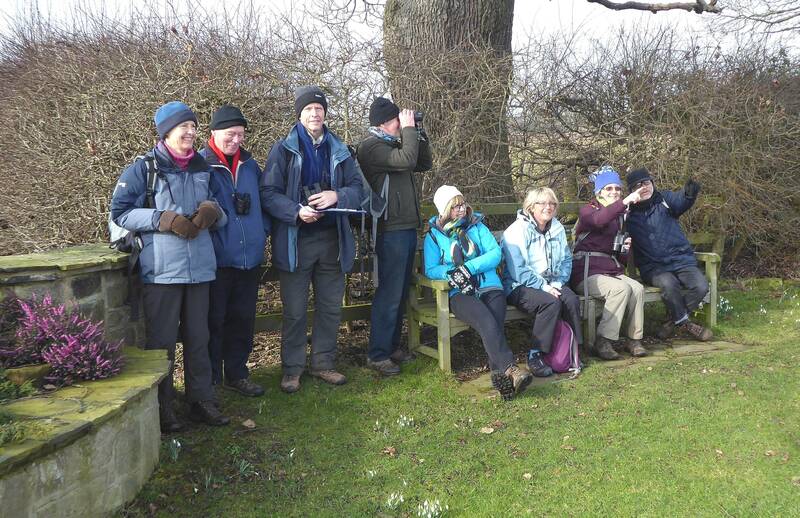 On the 18th February we held our annual winter bird survey and recorded 53 species of birds. No Curlew or Lapwings were seen this year but new for the winter bird survey were Little Owl, Mute Swan and Blackcap. The Blackcap is usually regarded as a summer visitor but, with recent warmer winters, our local birds are able to remain in the area along with others that have migrated southwards from the north. The RSPB’s State of Nature Report, 2016, states 56% of UK species are in decline. We have found that the built-up areas of our villages their gardens, hedgerows, trees and flowers provide valuable habitats for these declining species. In fact, our ten years of annual bird recording have shown that we have a good variety of bird species in the village. This is in contrast to the surrounding area’s intensively farmed land. Whilst some landowners are sympathetic, modern farming practices provide little in the way of suitable habitat, food or shelter. Our Summer Bird Survey is on 17th June. Please join us. Check out the Upcoming Events box above. New hotel opens in East Keswick! 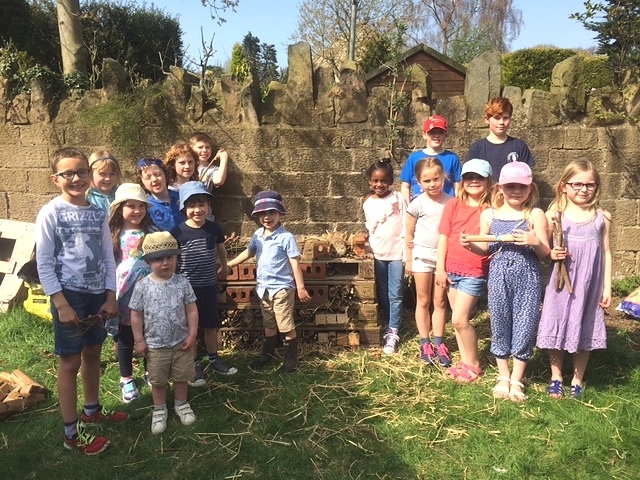 Over 50 people spent a glorious sunny afternoon on Saturday constructing a bug hotel under the guidance of East Keswick Wildlife Trust. The event was hosted by East Keswick Methodist Church on Main Street, East Keswick, with the luxury accommodation for insects being built in the garden behind the church. Melanie Smith from East Keswick Wildlife Trust explained the importance of creating suitable habitat so that the vast variety of insects we are lucky enough to have can thrive. The children then used various natural materials to make a five storey, five star hotel for insects. After the hotel had been built, the families enjoyed refreshments before tackling a nature hunt. The bug hotel is the first event of many in a programme to create a wildlife haven at the rear of the church involving the local community. The next joint event is a wildflower identification walk on 10 June and then, in the Autumn, seeds will be gathered and sown in pots so that young plants are ready to plant out next Spring to create a wildflower garden. Members of the public are most welcome to visit the garden at any time.